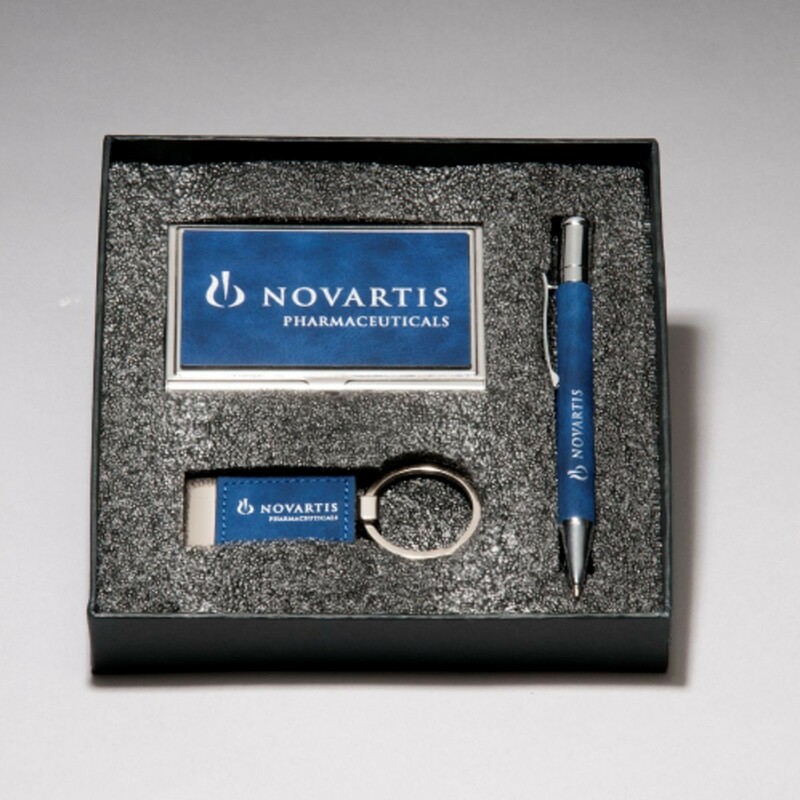 Our Corporate Gift Set includes an engraved pen, personalized business card holder, and engraved keychain in blue marbleized leather. Your corporate logo and name are laser engraved onto each item; personalization is FREE! Packaged in a black box for gift presentation. Makes a great retirement gift, new employee gift, or vendor gift.